The large and impressive stone house seen here once stood proudly on the south-east corner of 18th and Q Streets. 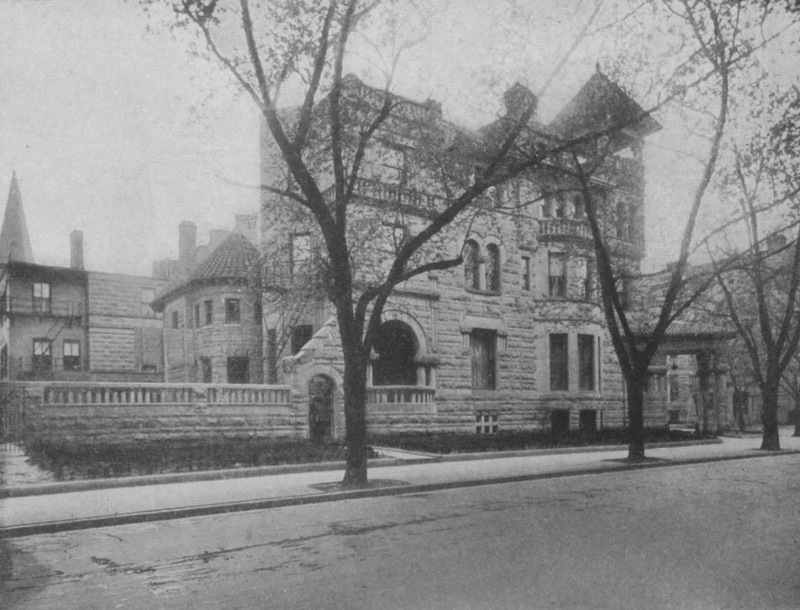 Many readers may recognize it as the Schneider mansion, home to prolific architect and developer Thomas Franklin Schneider (left) and his family. He built the house in 1891, only eight years after he began a private practice commonly designing and building entire blocks of lavish townhouses at once, such the 1700 block of Q Street adjacent the house. What many readers may not know, however, is that Schneider and his family did not remain in the house for long. 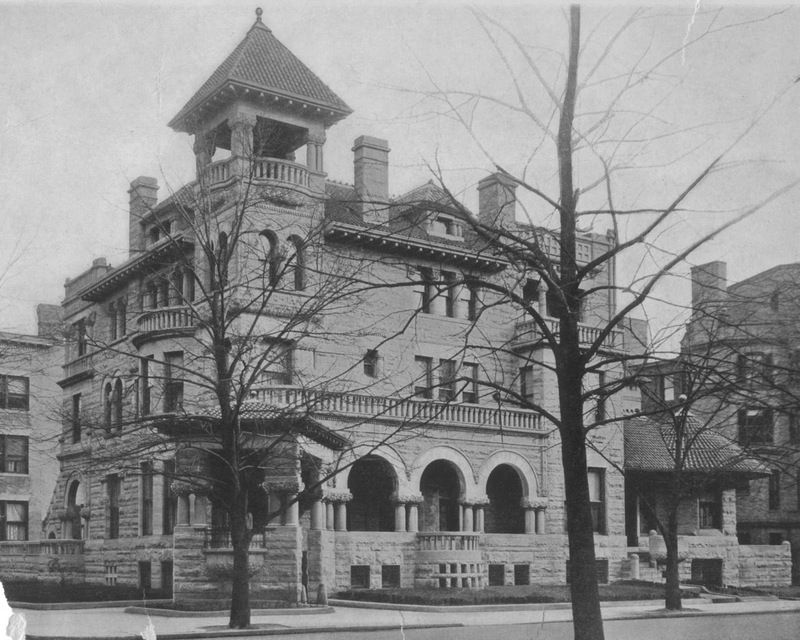 They apparently decided that the house was too large, and possibly too expensive to staff and maintain following an economic depression in 1893, and moved not long after its completion into a luxurious apartment in the Cairo Apartment Building in the 1600 block of Q Street, another Schneider landmark that would remain in the family until the 1960s. The mansion was immediately rented to the Chinese legation for a short period, then to Senator John Fairfield Dryden of New Jersey, and in 1914 to the Colonial School for Girls. The school had moved into the Schneider mansion from 1715 & 1725-29 Connecticut Avenue, where Miss Charlotte Crittenden Everett served as principal. 1916 bulletin, the “true aim of education is to teach the individual to see clearly, to think independently, to imagine vividly, and to will nobly.” It noted that its location was “high and healthful” being just a block from Dupont Circle “in one of the best residential parts of the city.” The shopping district and a plethora of street car lines were also highlighted in the school’s brochure. 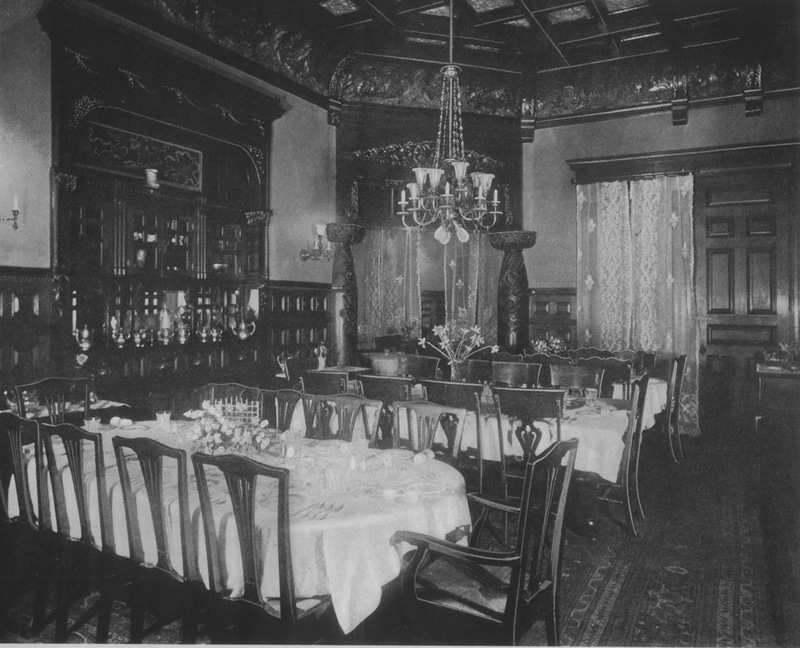 Meals were served in the dining room, where the mid-day luncheon only consisted of “milk, bouillon, and crackers.” The girls listened to evening lectures on such subjects as Moorish art and architecture, the Panama Canal tolls controversy, and The Effect of War on Womanhood by Jane Addams. Thomas Schneider remained so close to the operation of the school that he invited all the students to attend the wedding of one of his daughters. Much of the mansion retained the furnishings of the Schneiders, and rented along with the house. 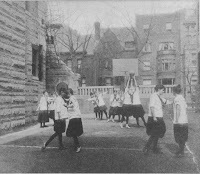 The girls rooms were likely to each have an open fireplace “for cheerfulness, and for healthfulness.” Classrooms, study halls, dining room, music studio, laboratory, offices, and several social gathering rooms completed the lavish environment. 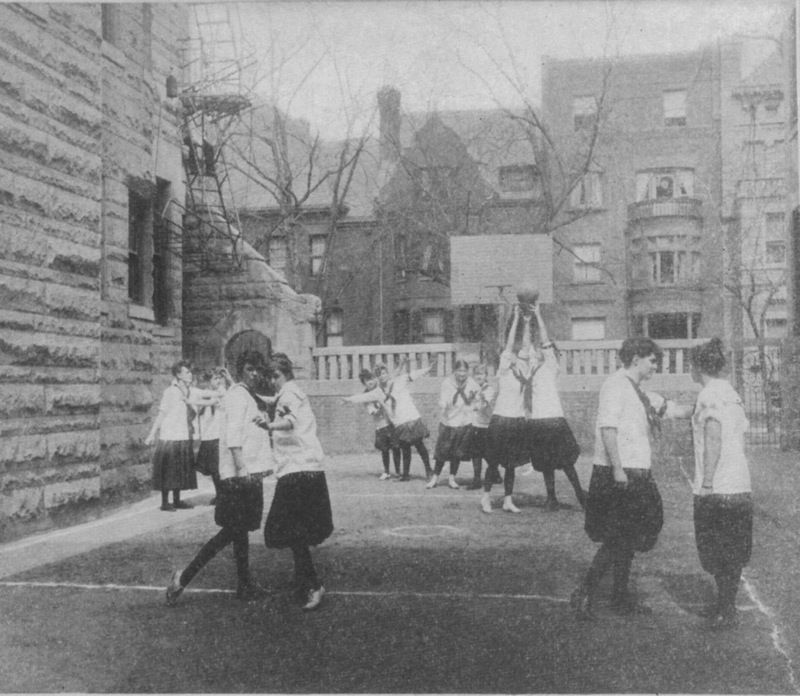 The house also featured a large rear lawn along Q Street that was utilized for outdoor exercises. 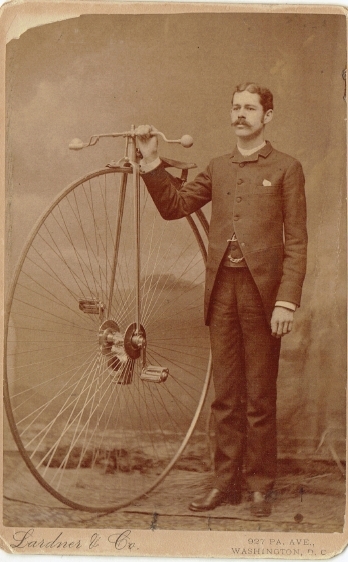 Tuition ranged from $800 to $1,000 per year, with incidental charges for such items as riding lessons, piano, breaking furniture, “corrective work in gymnastics,” and sewing. 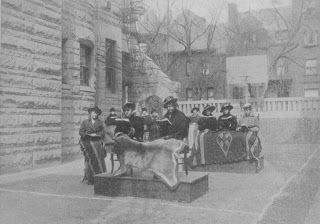 When not attending classes in Latin, Greek, French and German, home training was taught as an “essential factor of an education which aids a girl to develop into a wise, true woman.” The school’s bulletin also stated, “The principal and her associates aim to help the girls realize the dignity and beauty of presiding in their homes with ease and graciousness.” History, art, rhetoric, biology, zoology, chemistry, economics, botany and “the Art of Church Organ” were also available. Art students regularly visited the local galleries, including Veerhoff’s, then located farther downtown before its eventual relocation to Dupont Circle where it remained until the mid-1990s; however, all students were closely chaperoned any time they were off campus: “Under no circumstances are our pupils subjected to the embarrassment of appearing in public places unchaperoned” reads the school bulletin for 1915. Students were charged 50 cents an hour when visiting doctors or dentists. 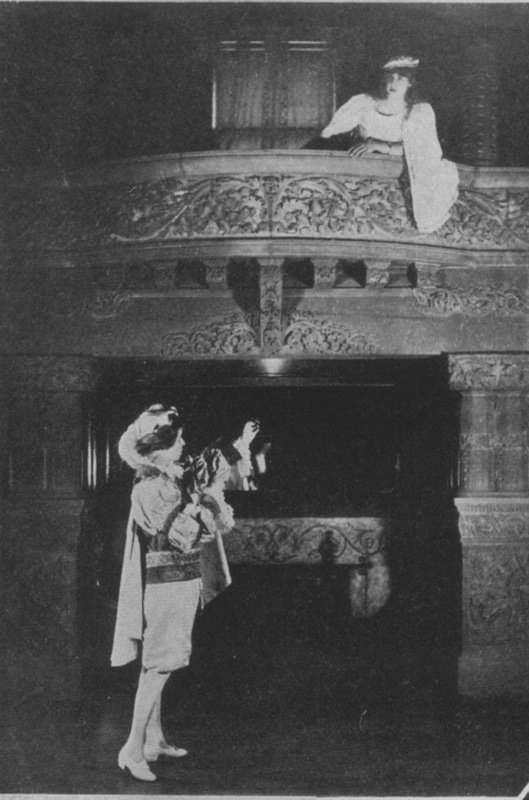 Principal Everett was joined by co-principal Jessie Truman in 1920, and the school continued to operate in the Schneider mansion until 1930, when the house was converted into a boardinghouse. Twenty-eight years later, the house was razed for a parking lot. 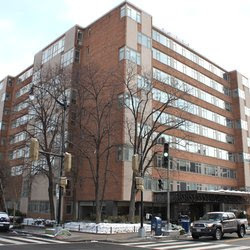 In 1961, the nine story Dupont East apartment building was built on its site, and remains there today (illustrated below).